Welcome to Robertson Gymnastics Centre. We provide the venue and the fun! The party begins with a variety of warm-up and challenge activities. Both gymnasts and non-gymnasts catered for. 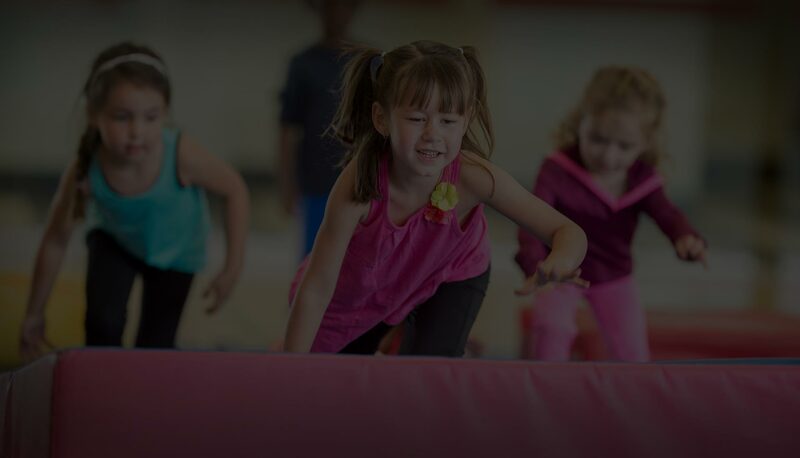 Activities include; Obstacle Courses, foam pit games, trampolining, circuits, parachute, tumble trak, rings just to name a few. Your children and their guests will delight in this atmosphere of fun activities and games. With activities rotating every fifteen minutes, the excitement will be non-stop for boys and girls of any age. Parties are not just available to current gymnasts and their families!! Any child (and their Mum or Dad who thinks cleaning the house twice in a day isn’t so cool) who thinks a Gymnastics Party is the go can host a party. (Includes provision for 20 party guests) Price includes GST. • A Qualified staff instructor and assistant coach. The $96.00 deposit is required at least 7 days before the Birthday party. The balance of payment is required on the day of the party. (Cash, credit card or cheque acceptable) You should arrive 20 – 30 minutes prior to the commencement of the party. Children should wear comfortable sportswear and if possible, bring clean socks to the party. No stockings are permitted. If possible, hosts are to supply a list of the children participating with phone contacts. This is a safety requirement. Families will not be contacted using these numbers without their consent. Please note – if a lower than the allowable number of children attend for whatever reasons, the full party fee still applies. Parties can be designed for toddlers through to upper primary school-aged children. Participating children need to remove all jewellery with the exception of ear studs / sleepers before participating. Any hard hair accessories present in a participant’s hair must be removed before the party commences. Robertson Gymnastics venues are smoke and alcohol-free zones. Please do not bring alcoholic beverages for the consumption of accompanying parents. Participants who are unable to follow the stated rules and guidelines at the commencement of each party may sit out for a suitable time period or be excluded altogether. The safety of participants is a priority at all times. Gymnastics is a safe activity, but injuries can and do occur in any physically active pursuit. (Even computer games can lead to eye strain!!) Parents must sign in each participating child and leave a contact number. This will only be accessed if required on the party day and will not be transferred to any third parties. Any accompanying siblings are the responsibility of the accompanying adults and cannot participate in the party unless given express permission by the party host who will be charged for the additional participants. Accompanying adults are to remove footwear when accessing the gym floor area at any time. Participants during a party are under the care and direction of the supervising coaches for the duration of the ninety minutes activity period. For the final thirty minute period, the host family is responsible for the attending participants. Children are to remain at all times in areas designated by Robertson Gymnastics staff. Robertson Gymnastics staff and administration reserve the right to remove attending participants and their associates at any time deemed necessary to the attending staff members. Staff will not hesitate to act if they deem it necessary in the advent of unsatisfactory behaviour from participating children, or accompanying siblings and adults. Lost property items will be placed at the conclusion of each party in the venue lost property area. Remaining items at the conclusion of each term are donated to charity. Food and drink other than water is only to be consumed / held within the designated areas. Parties conclude at the allocated time when staff will commence cleaning. Please ensure that all present opening has been completed by the allocated time and that party bags (if you have them) are distributed at this time. Parties are usually held on Sunday afternoons, commencing at 2:00 p.m. Variations can be requested but not guaranteed. Prices can change without notice. Any invited guests will be excluded from the Gymnastics Section of the party if their actions are deemed unsatisfactory.